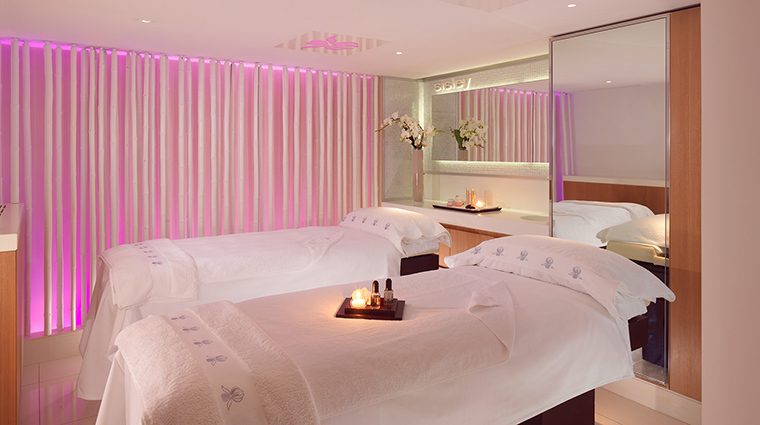 Located on the banks of Lake Geneva inside Le Richemond Genève, Le Spa by Sisley is luxurious retreat hidden away below the iconic hotel. Le Richemond is an ultra-luxe property and Sisley is a prestigious French beauty brand — their collaboration on this sleek, splendid spa is a fitting partnership. While entering Le Spa by Sisley, you are immediately put at ease with a relaxing atmosphere within the intimate facilities. Le Spa features five traditional treatment rooms, including a couples room that can be booked for special treatments and a space designed specifically for Thai massages (performed by a professional Thai therapist). Take advantage of the relaxation room, sauna and steam rooms, and the high-end fitness studio located adjacent to the spa. 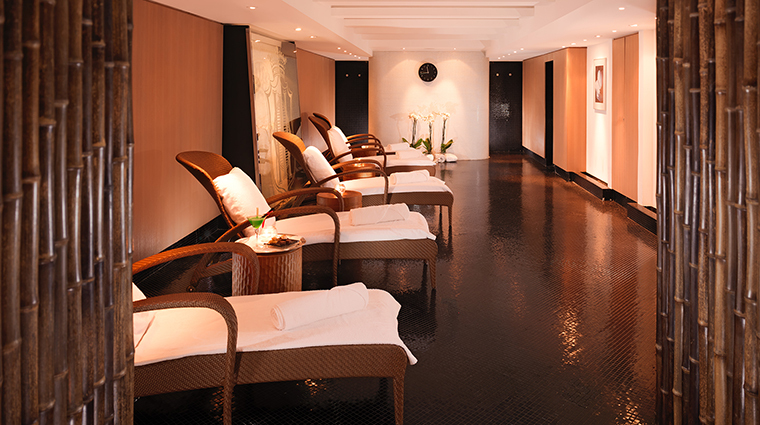 Enjoy a sauna or hammam session and feel the calm that reigns in the beautiful relaxation area. The room is also surrounded by soothing chromotherapy lights. Decadent massages include reflexology, muscular, deep tissue, plus a one performed with four hands, which includes 20 minutes of private hammam time. When Sisley was created by Hubert d’Ornano in 1976, aromatherapy was a virtually unknown practice. 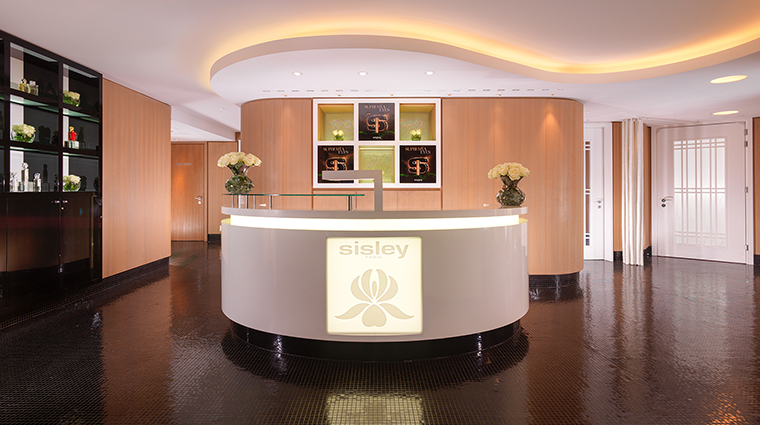 Now Sisley is a cosmetic leader in the use of plants and scents as main active ingredients. The Phyto-Aromatic facials can be highly customized to treat a variety of skin types and needs. Phyto-Aromatic body treatments ran the gamut, too, and include scrubs, energizing massages, masks and lymphatic drainage. 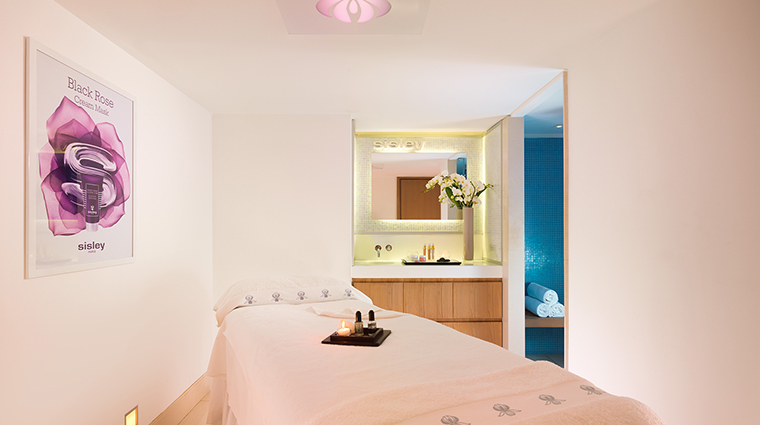 All the products used at the Geneva spa are by Sisley, so you get a fully immersive Sisley experience when booking a facial, massage or body treatment. Face and body services are based on the science of relaxing body and mind through the use of fragrance. The fitness area is well lit and has a Kinesis machine for a complete body workout. That Thai massage? It’s carried out by a therapist’s feet for an ultra-strong rubdown that reaches your deep tissue. The Phyto-Aromatic Facials are popular with guests all round the world. 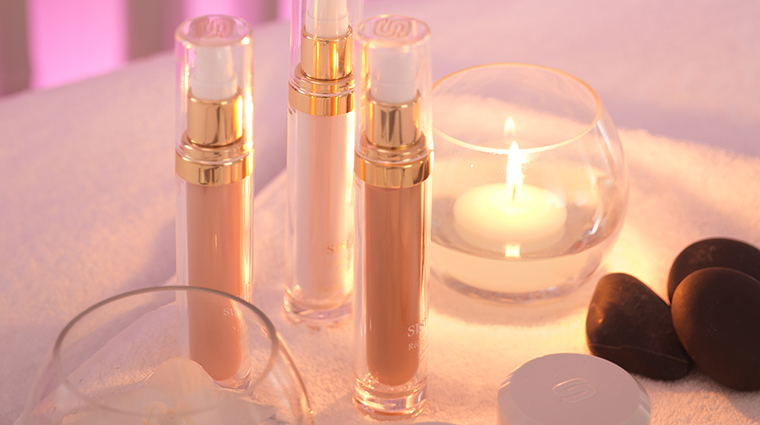 Le Spa offers seven different iterations to address various skin types, including oily skin, dry and sensitive skin, aging skin, dull skin and even male-specific skin issues. The Sisley Bodycare Duo is one part invigorating body scrub and one part energizing massage designed to hydrate skin and balance your body’s energy. The hammam is decorated with delicate blue tiles and is always set at the ideal temperature; the area is also equipped with showers to complete the spa-going experience. Herbal tea, water or fresh berries are available next to the reclining chairs in the soothing relaxation lounge. 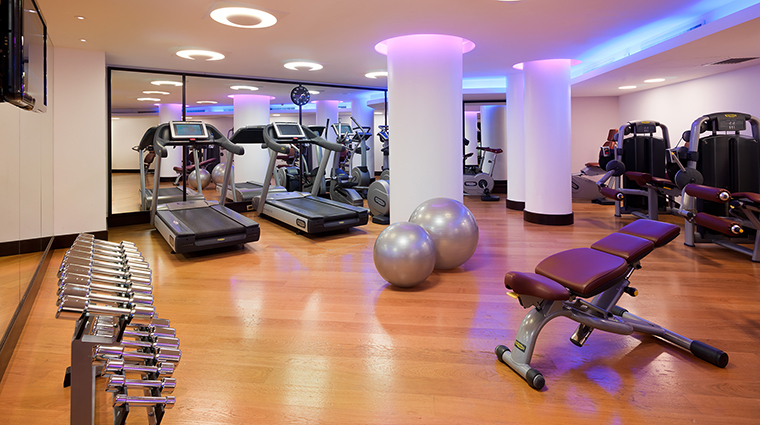 The fitness studio sits next to the luxury spa and is supplied with the latest Technogym equipment for cardio training. Personal trainers are available for tailor-made exercise sessions, too, including a boot camp session you can take with your friends.